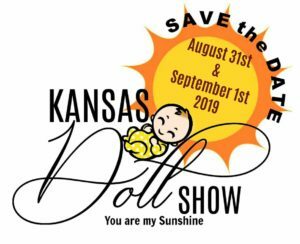 April Kelley will be journeying to the Kansas Doll Show 2019. April will be a vendor here and I can not wait to she what she brings along with her. You can find April at table 134. Make sure to look at the floor plan before attending so that you will know where to find her. I think that having April at the show is going to add more fun and more laughs to the event. So if you haven’t met her before make sure you find time to stop by her table to say hi. You will be met with a warm greeting.